Hi, long time no speak! Despite it being the summer holidays I've basically been working every single day to earn a bit of money for my annual Paris trip. Also it might have something to do with funding my shopping habit.. This denim skirt is just one of those pieces you need this summer. 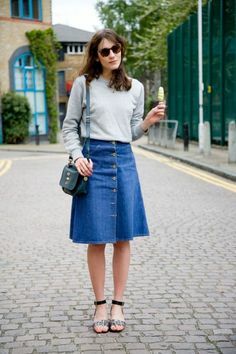 Somehow an A-line, button up, mid length denim skirt is a covetable item this season! 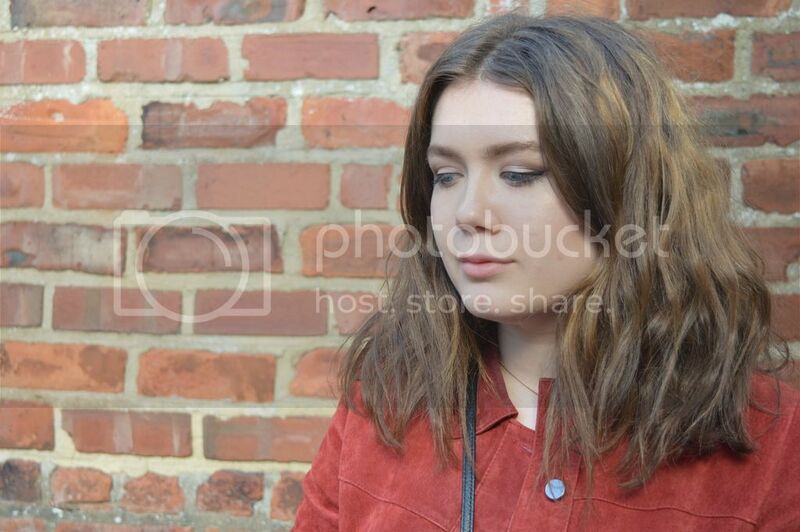 I call it the Alexa Chung effect. This is such a go to outfit at the minute, it covers the basic combo of denim & stripes, and I love the denim/tan combo. There's just something about the midi length that looks so fresh at the moment. I'm really loving the warm weather and it's making me so excited for holiday! Is anyone travelling anywhere nice this summer? Let me know! That skirt looks great on you. Cute outfit and I love those shoes.